Note to the reader: This article looks at possible causes of nightmares, rather than trying to cover specific, individual dreams; you may find your dream covered – like dreaming of the death of a loved one – in my blog pages (more content is being added all the time). Dreams are often symbolic messages to draw your attention to a specific situation. Sometimes the only way they will get your attention is by the horrific nature of their content. 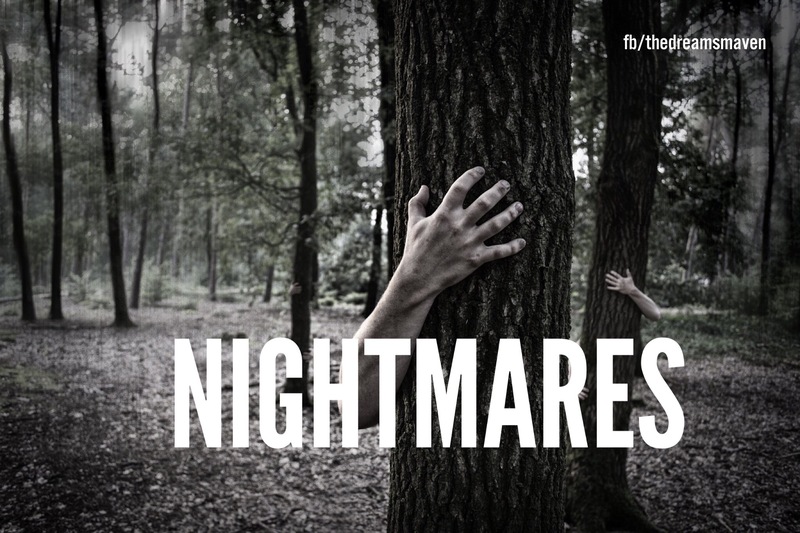 Nightmares are bad dreams which can stay with you for hours, days or even years. They are often frightening, graphic and may cause you to wake up in a panic, crying or attempting to scream – that’s really what separates them from other types of dreams. Nightmares can be caused by a number of things. Lack of sleep, medication, bereavement, changes in diet and stress can all be a factor – even what you watch before you go to bed. Sometimes just a room being too hot is enough to cause a a bad dream, which is why you wake up sweating (although this is also a symptom of the flight /fight response in stress). If you’re having difficulties at work or at home, or if there are unresolved issues around events from your past these can show up in the shape of a bad dream. Sometimes the reason the content is so graphic or unsettling is so that it to gets our attention – which often nightmares do. This makes sure you take steps to acknowledge the ‘problem’; it’s a bit like the volume going up until you realise the music is so loud you have to do something about it. Seeking an interpretation can help to explore and decipher the message – this, in itself, has been known to stop the dream if it’s reoccurring. Talking to a professional can also help if you know what’s behind the nightmare. If you are worried about the cause or effect of your nightmares, particularly if it’s affecting your sleep or mood, be sure to speak to your doctor as soon as possible. Lucid dreaming is a technique which may help with nightmares in the right circumstances. You may find one of my free downloads in the members area help you with healthier sleep, and also keeping a dream diary. You can access these when you subscribe to my newsletter. Please read the important information at the bottom of this page before leaving a comment or question. ← Dream question: Dreaming of Death – a child, loved one or my own – is this going to come true?